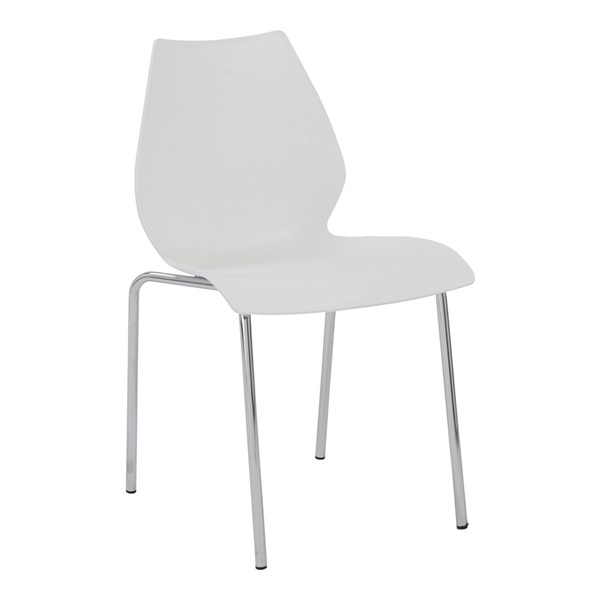 The Lena Side Chair makes any dining area more modern. This brilliant chair has a great, sleek look and offers a comfortable seat from which to enjoy a meal. Pair several of these chairs around a table for a simple, sophisticated dining area. This modern dining chair features a seat and back made of polypropylene. Its seat is perfectly paired with a chromed steel frame for a sleek, modern look. The Lena Side Chair is convenient too, as multiple chairs stack on top of one another, minimizing their footprint when not in use. Straightforward ordering. Excellent detail on website. Delivered as promised Very good quality dining chairs. Would strongly recommend InMod.